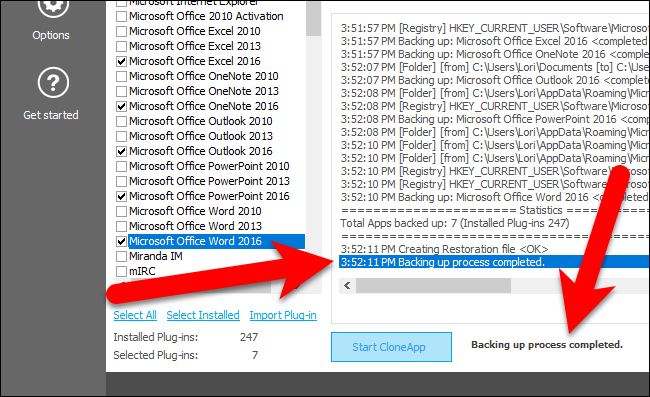 This article will guide you through the steps to take backup of your installed applications settings on Windows, transfer them to a new computer and you don't need to re-configuring them. 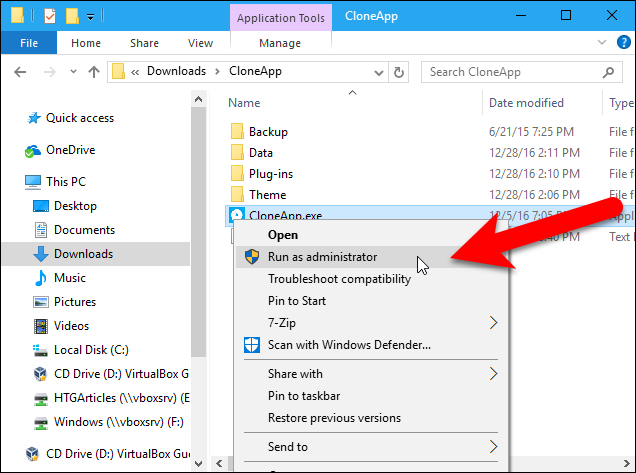 CloneApp is a free program, that allows you to easily backup configuration files in program directories and the Registry for many popular Windows applications. 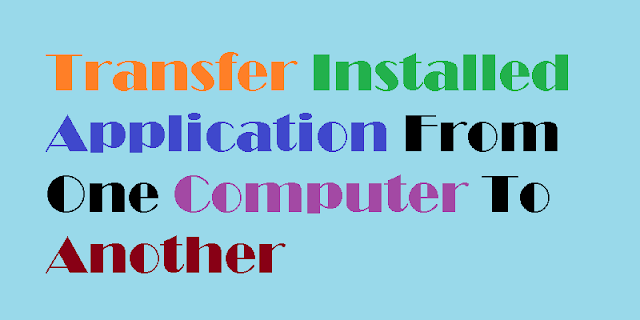 It supports a large number of applications, including many versions of Microsoft Office, Microsoft Edge, Photoshop, DisplayFusion, Evernote, foobar2000, LibreOffice, MusicBee, PotPlayer, TeamViewer, and many more. 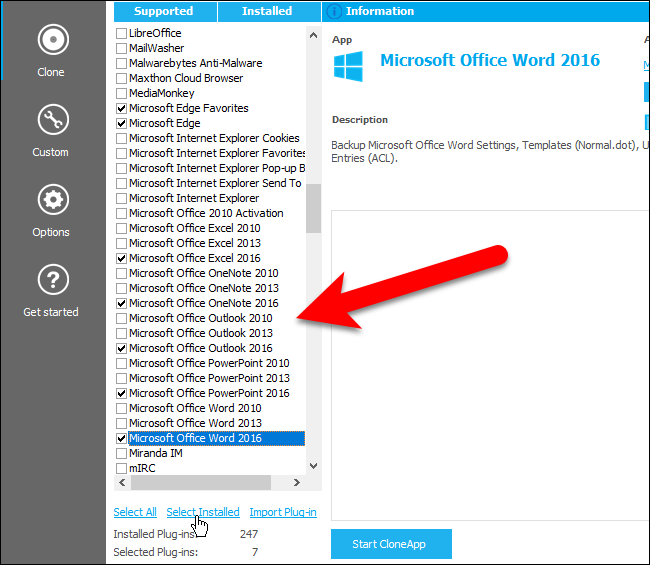 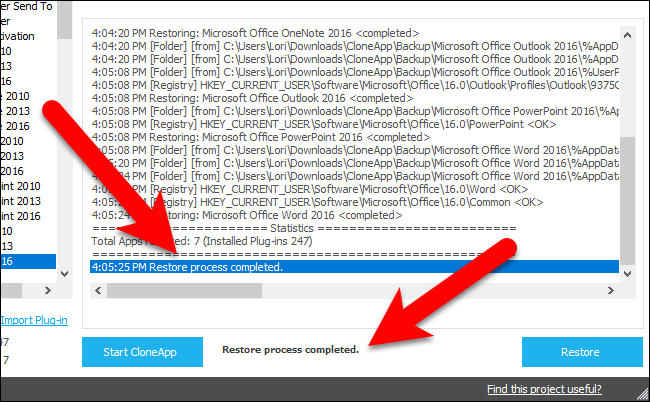 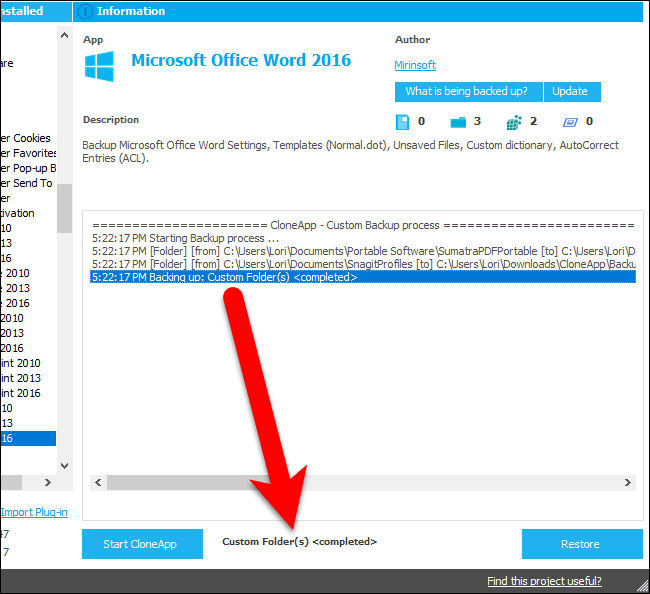 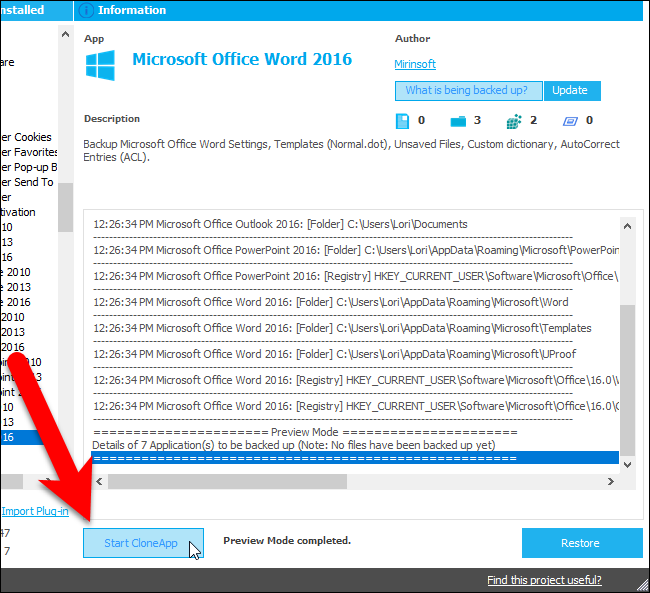 We will show you how to use CloneApp to backup and restore a program’s settings from one computer to another, using Microsoft Office application as an example. 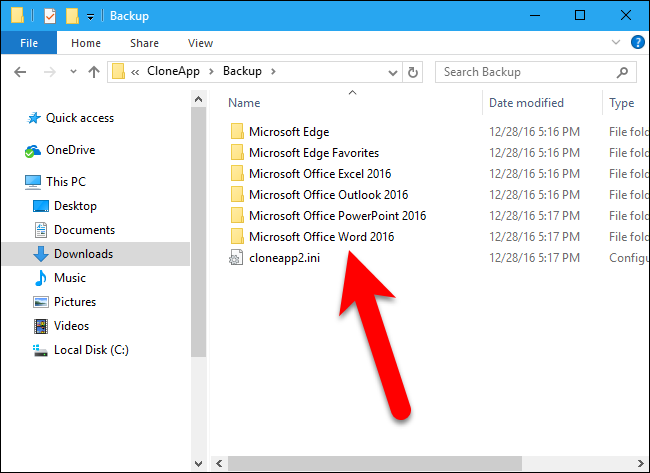 Make sure any programs you want to backup are closed before you start. 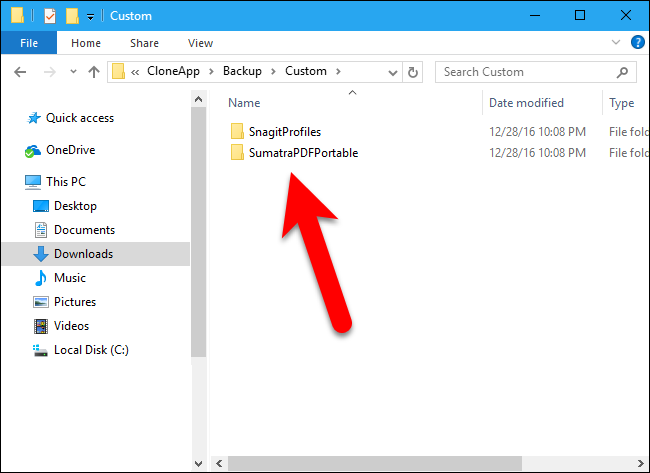 To begin with back up settings in programs folders and the registry, download the portable version of CloneApp and extract the .zip file into a folder. 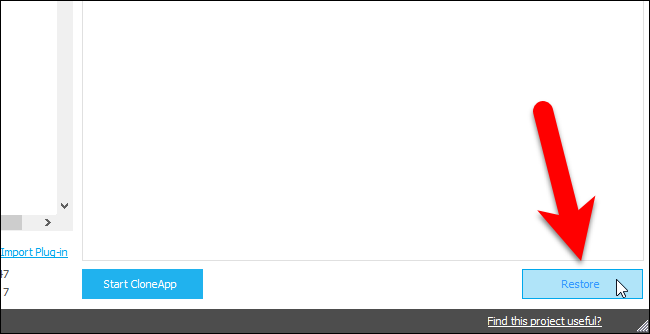 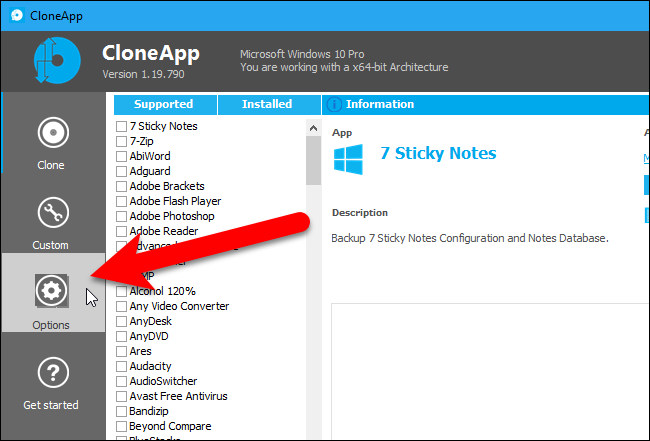 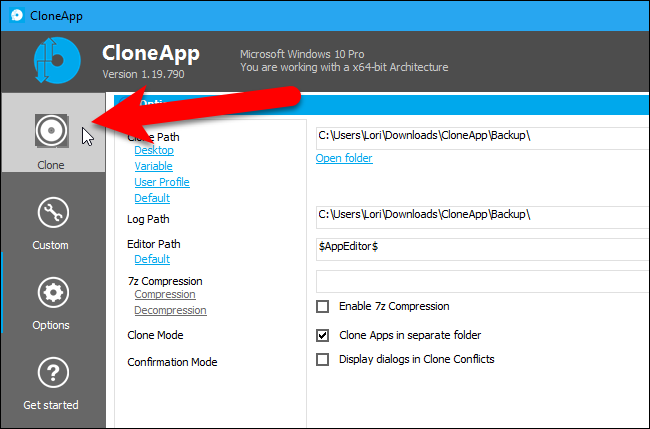 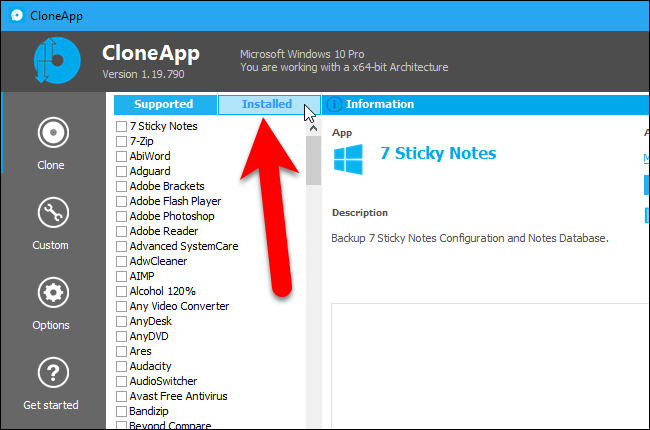 To completely back up program settings, CloneApp must be run as an administrator. 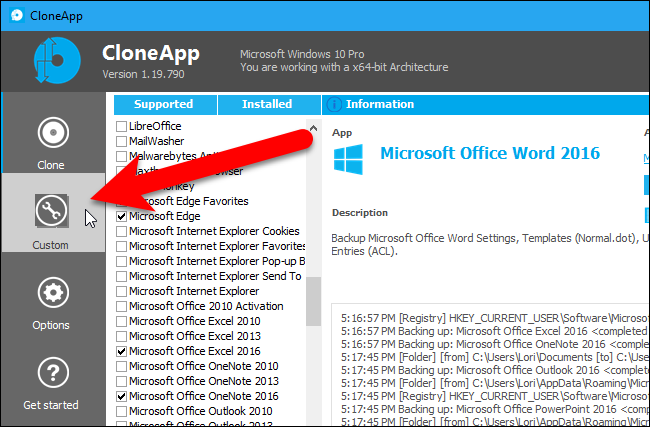 To accomplish that, right-click on the CloneApp.exe file and select “Run as administrator” from the popup menu. 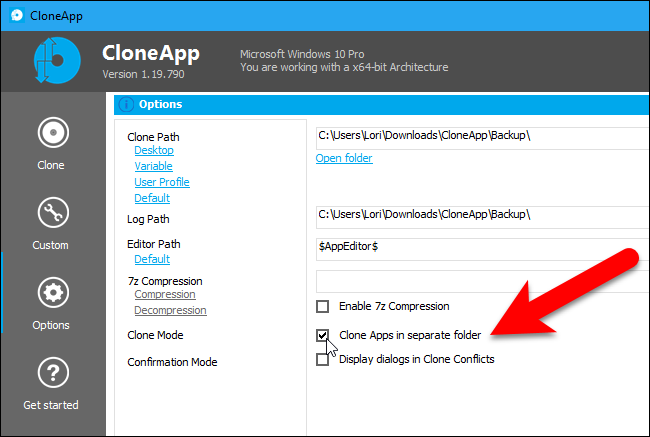 Grant CloneApp permission to make changes to your PC when prompted. 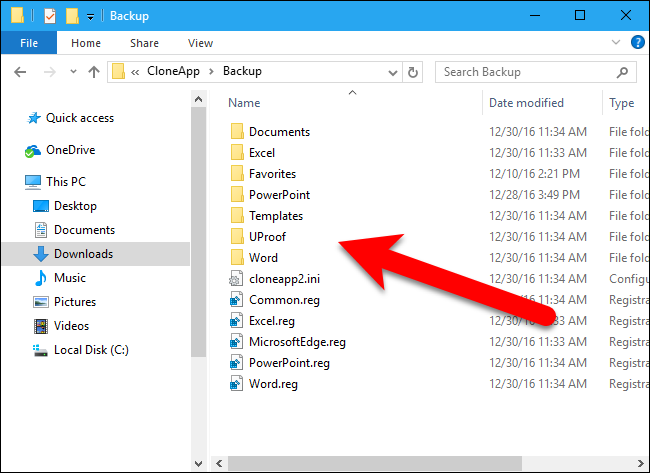 If you run CloneApp without administrator permission, a message displays at the bottom of the CloneApp window warning you that administrator privileges are required to do a more complete backup. 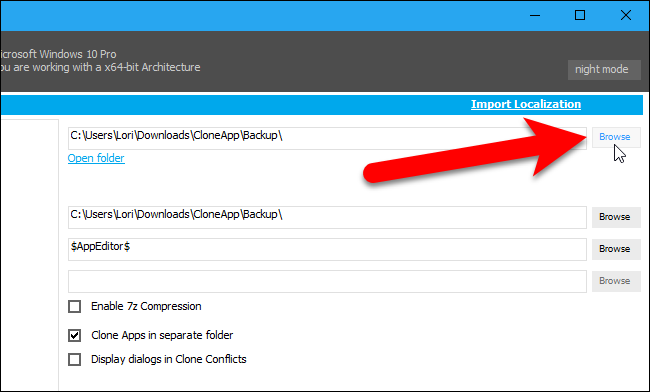 Before we begin backing up programs, we need to make sure the location and structure for the backup are set accordingly, so click “Options” on the left side of the CloneApp window. 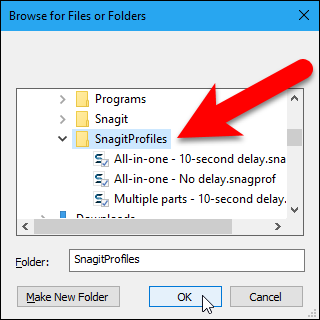 We’re going to back up profiles from Snagit and a portable version of SumatraPDF. 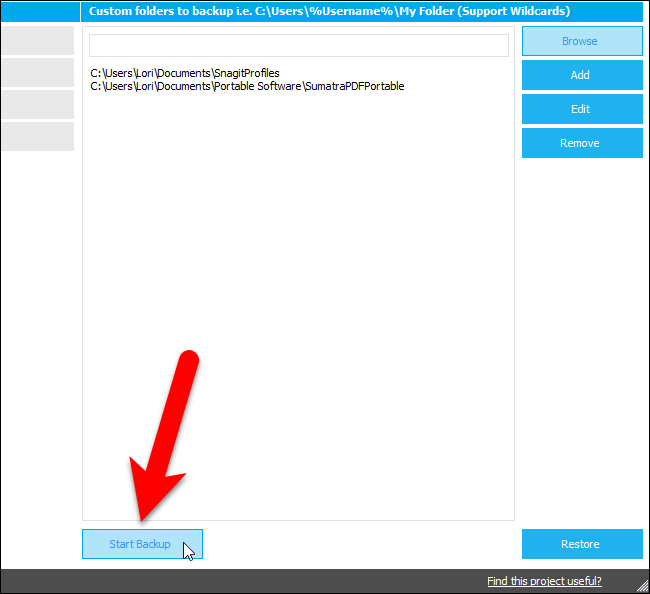 To back up folders, click the “Folders” button under Custom.